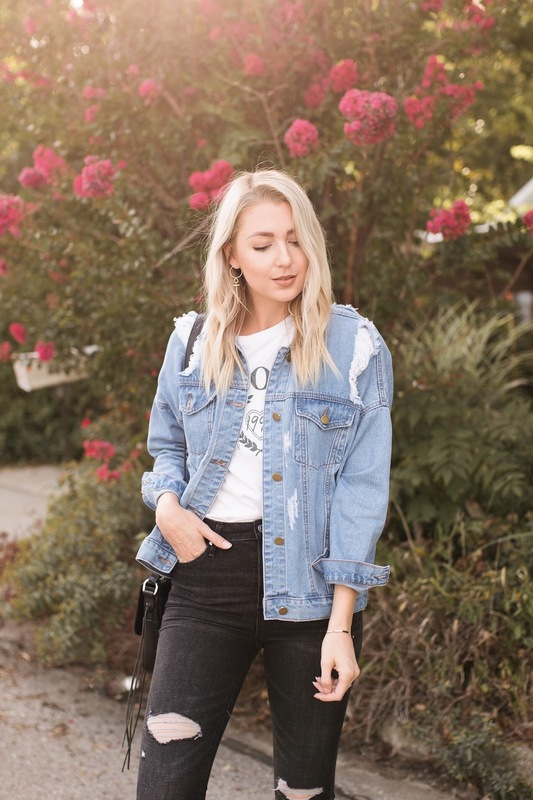 The obvious trend that I'm sure we're all noticing everywhere is oversized jean jackets! I love the effortless and vintage vibe, and I've already worn mine so much. Bomber jackets are definitely still in this year, and I'm loving the varsity jacket look that's in the mix too. A faux leather jacket is an absolute closet essential in my opinion! I found my perfect jacket last year and got soooo much wear out of it. I can't wait to wear it again this fall and winter. A new trend that I foresee being big this fall is shearling! Similarly, teddy coats and faux fur should be big as always too.